Sanayi 313 is expanding its global footprint, particularly in the U.S. and the Middle East. 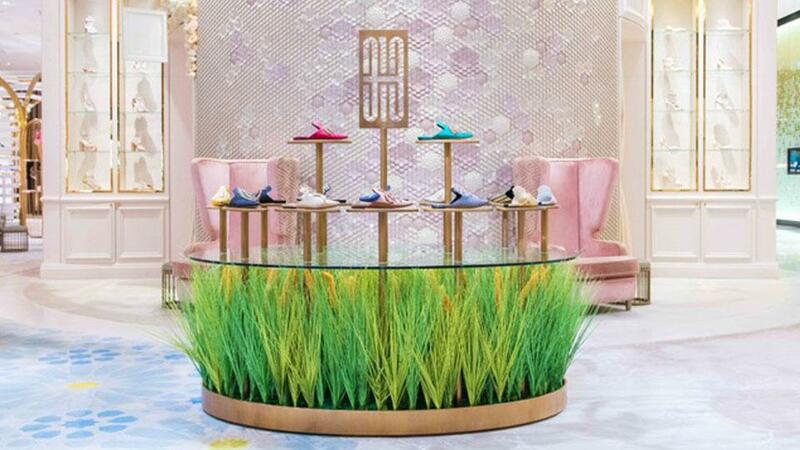 The Turkish-based shoe and accessories brand has recently unveiled a string of pop-up shops at some of the most celebrated department stores: the first of which was last month at Bergdorf Goodman in New York and, as of today, Level Shoes, the premiere destination for all things, well, shoes in Dubai. The latter will run from May 1st to the 14th, just in time for Ramadan. Founded in 2015 by brothers Enis and Amir Karavil, Sanayi 313 started out as a boutique in Istanbul. The former Karavil, being an interior designer by trade, aimed to have a space that was a “multi-disciplinary concept, where design meets art, food, architecture and fashion,” as he described. 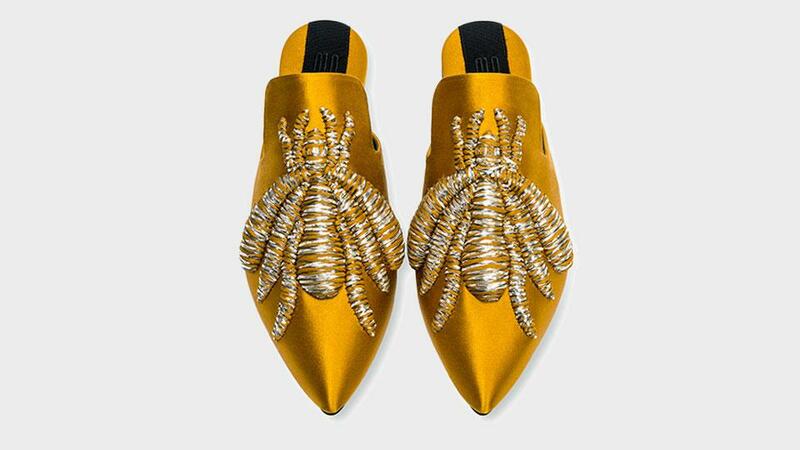 Shortly after, he partnered with Serena Uziyel, who has an extensive background in footwear design, and both created a collection of (primarily) shoes and handbags in an aesthetic that, arguably, wasn’t rife in the marketplace—and perhaps still isn’t. Where other luxury brands focus on quality leathers and sprinkle their pieces with kitschy adornments depending on the trend of the season, Sanayi 313’s bazaar-esque, pile-it-on mentality is a class apart. 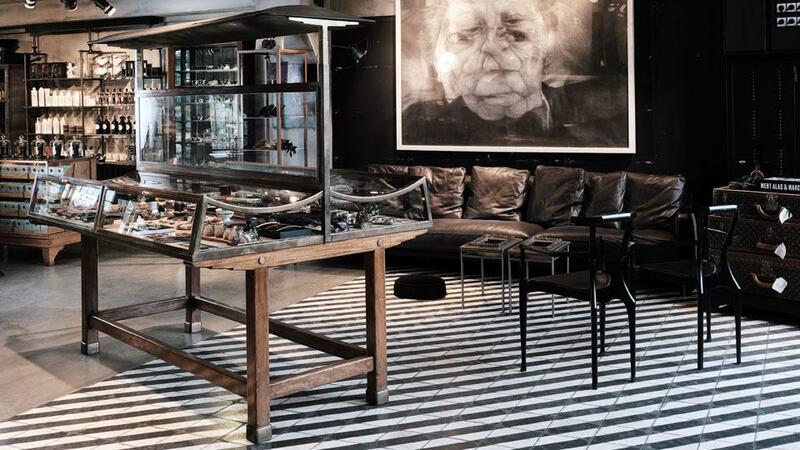 The Sanayi 313 store in Istanbul, Turkey. And it would appear that many in the industry share this sentiment. Sanayi 313 has been scooped up by online behemoths like Net-A-Porter and Matches Fashion, among others, expanding their reach worldwide. But the duo understands that this alone is not enough to have a long-lasting impact. “We are finding different mediums to share our story and expand our community,” said Uziyel. “By hosting pop-ups in some of the most exclusive retailers in the world, we are able to personally connect with a broader audience. The Sanayi 313 pop-up shop at Level Shoes. Yes, pop-ups are momentary, but they are a perceptive and ever-so-common way for emerging luxury labels to get their wares directly in front of would-be clients that already recognize the name of the retailer and the reputation they carry. 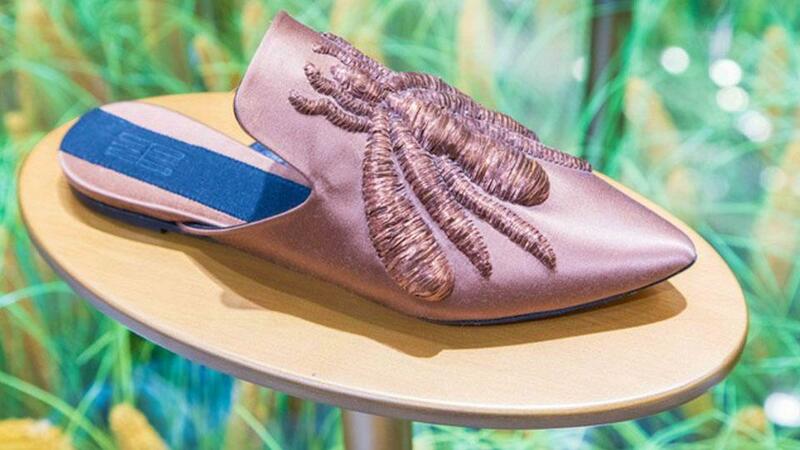 Also, consumers are able to see the beautiful details in person and are usually graced by the presence of the designers, who are on-hand to extol the merits of their products and perhaps justify the high prices (Sanayi 313’s slippers start at $800). Even in this digital era—when many profess the virtues of the direct-to-consumer model, zoning in on their own e-commerce platforms—most would jump at the chance to partner with either department store. Though, more often than not, only few are given the opportunity. Alas, behind all the glitz, fashion is a business and retailers want assurance that they can sell products and turn a profit. This is why the majority of their floor space is given to established brands, those that have their own following and can attract foot traffic. As a result, it is harder for new designers to find their place in these hallowed halls on an ongoing basis. That said, a great entryway is through a pop-up, which can have store buyers coming back for more should it prove successful.